Painted white today, the stonework originally matched that of its neighbors. In the summer of 1886 developer Charles A. Bouton embarked on a project of six rowhouses on West 95th Street, between Columbus and Amsterdam Avenues. His choice of architects was interesting. William J. Merritt & Co. was a prolific developer on the Upper West Side, occasionally acting as its own architect. When plans were filed on August 6 the architect of record was W. J. Merritt & Co.--normally considered a competitor of Bouton. Each of the narrow houses--some were 16 feet and the others 17 feet wide--would cost $10,000 to construct, more than a quarter of a million dollars today. Two of them, the mirror image homes at Nos. 127 and 129, stood out from the otherwise unremarkable row. Standing in stark contrast to the undulating bowed bays of the other homes, the two upper floors rose with elegant formality. A single bay of each stepped back to provide a shared balcony above the entrances. The nubby undressed stone of the parlor level contrasted with the prim brick and planar stone above. The cornices were crowned with solid brick parapets. The row was completed in the fall of 1887. No. 127 was sold in October to the widowed Clara A. Norton, who paid $17,500 (about $465,000 today). Clara, unlike many upper middle-class women of the day, had an advanced education. She was a graduate of Mount Holyoke College. Moving in with her was her mother, Maria C. Ostergreen. Sadly, Maria's funeral was held in the house the following spring. The undersigned, being the owners of more than fifty per cent of the land on West Ninety-fifth street, between Amsterdam and Columbus avenues, in the City of New York, hereby respectfully petition for the laying of asphalt upon the pavement now in the middle of said street. The same month that Clara Nolton bought her home, Augustus Pitou purchased No. 129 from Bouton. Pitou was a prominent figure in the entertainment industry. The Actors' Birthday Book said of him in 1908 "A clever and versatile man is Augustus Pitou, actor, manager and playwright, and, strange as it may seem, he has made a success at all three vocations, a happy result not given to many." Born in New York in 1843, Pitou started out as an actor, debuting at the Winter Garden Theatre on March 18, 1867 as the priest in Hamlet, supporting the famous Shakespearean actor Edwin Booth. Booth paid him $8 per week. The young actor did well and in October that year his salary was raised to $12. After acting with Booth's company for many years, Pitou managed theaters, and then managed stars. Among the well-known thespians he handled were Chauncey Olcott, Rose Coghlan and W. J. Scanlon. After moving into the West 95th Street house, he began play writing as well. Among the plays he wrote here were the 1891 The Power of the Press, which starred George Jessop at the Star Theatre; and Across the Potomac, which debuted on April 18, 1892 at Proctor's Twenty-Third Street Theatre. Both Clara and Augustus were gone by the turn of the century. In 1898 attorney and real estate broker John C. R. Eckerson and his wife, Edith, purchased No. 127 and Melancthon S. Ayers moved into No. 129 around 1902. The country was still recovering from the devastating Financial Panic of 1893. That was reflected in the price Eckerson paid--$2,000 less than what Clara had originally laid out. Edith Coleman Eckerson was an active Edwardian woman. She was a member of the Evening Badminton Club which met every Saturday evening each spring. On March 12, 1905 The New York Times noted that the women were preparing for a tournament the following week. In addition to their city house the Eckersons had a country home in South Beach, Connecticut. Nevertheless when daughter Mary Warne Eckerson married Morgan Onderdonck McMongal in June 1911, the ceremony took place in the home of her grandmother, Mrs. Benjamin Eckerson, at No. 171 East 87th Street. The Eckerson's neighbor, Dr. Melancthon S. Ayers, had studied at the College of Physicians and Surgeons and Long Island College Hospital, graduating in 1871. He was 28-years-old when he married Nellie Hill on December 9, 1874. Their time together would be short--she died less than two years later on August 12, 1876. Ayers remained at No. 129 until 1910, when he sold it to Colonel William E. Van Wyck. Described by The New York Times as "one of the city's leading citizens," Van Wyck was born in New York in 1845. He had found work at the age of 15; but when rumbles of war threatened in 1860 he joined the Seventh Regiment. He was on the front lines in 1862 and, according to The Times later, "accompanied Sherman in his march to the sea." Following the war he remained active in the National Guard and was instrumental in quelling the Orange Riots in 1871. Van Wyck was a partner in the paper firm of C. F. Hubbs & Co. But it was his military and social activity for which he was best known. He was a founder of the New York Athletic Club and was its first president. 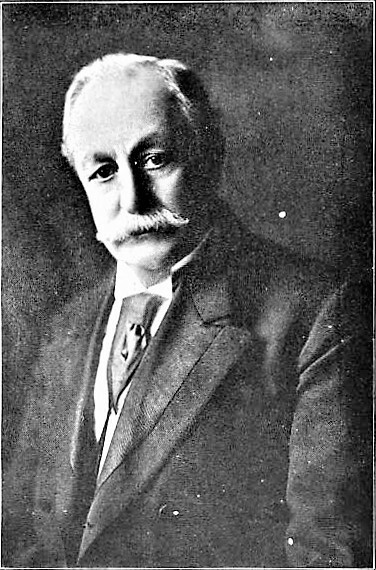 His wide-flung memberships included the Sons of the Revolution, the New York Genealogical and Biological Society, the Hoboken Turtle, the Coney Island Jockey, and the National Arts Clubs, as well as more than a dozen other clubs and organizations. Van Wyck's wife was the former Jennie Lessy and their movements were tracked by society columnists. On July 19, 1914, for instance, The Times noted "Col. William E. Van Wyck and Mrs. Van Wyck of 129 West Ninety-fifth Street, who spent the early Summer at their Long Branch home, are now on a motor trip through the White Mountains." Two weeks later The Sun reported "Col. and Mrs. William E. Van Wyck...are at The Moorings, Long Branch, N. J., for the remainder of the summer." The couple would never visit Long Branch together again. In May 1915 Van Wyck fell ill. Ten days later, on June 3, he died in the 95th Street house. In reporting his death The Sun mentioned "His family had been socially prominent for many years." I order and direct that my dead body be laid out in colonel's full dress uniform and in a black merino or cloth covered coffine and silver plate handles--and name plate--to cost about $60, and laid in my own burial plot at Woodland Cemetery. The will additionally revealed Van Wyck's distrust and disdain of lawyers. He directed his executor "to keep my estate free from legal interference, it being the experience of the writer that an estate is often considered a legitimate prey for those who practice law without conscience." His entire estate was left to Jennie. He explained in the will that charitable contributions should "be made during one's lifetime." The New-York Tribune reported "He further said that for fifty years he had assisted many of his relatives and that he had decided 'they must have no more help from my estate.'" In October the following year the Eckersons visited friends in Summit, New Jersey. John C. R. Eckerson died there on Saturday, October 14 at the age of 68. The Times mentioned "He was a member of many social organizations. He also owned a number of fast driving horses which he drove on the Speedway." Like Van Wyck, he left his entire estate to his wife. The New York Times noted that he "made no bequests for his son and two daughters, because they had been provided for otherwise." The Eckerson house was sold to Kathleen O'Hara, daughter of Mayor John F. Hylan, in 1923. When she sold it in February the following year, The New York Times noted she "has remodeled the [house] into smaller apartments with all improvements." It was most likely at this time that the stoop was removed and the entrance lowered to the basement level. Jennie Van Wyck died in No. 129 West 95th Street on February 9, 1926. Her funeral was held in the house the following evening at 8:30. The home was sold at auction in 1931. In 1935 it was home to the Amity Club when that club took a decided change in direction. On May 20 The Times reported "The members of the Amity Club, heretofore a social organization, decided recently to enter the political field in support of Mr. [William] Solomon and in opposition to Mr. [D. J.} Mahon." The club was now allied with Tammany Hall. The newspaper said "A boxing exhibition at St. Nicholas Palace Saturday night, which was attended by several thousand persons, signalized the club's entrance into politics." In 1971 No. 129 was converted to apartments--a duplex in the basement and former parlor level, and one apartment each on the top two floors. It was the scene of a grisly crime the following year. A six year old boy, Chauncey Cummings, accompanied his mother on a visit to her friend here on August 6, 1972. While the women chatted, the boy wandered into the hallway to play. He was lured away by two 12-year-olds who senselessly tortured him. Police said "the two suspects had beaten the boy with an electric cord and burned him with cigarettes and matches after tying him to a bed." He was taken to the hospital in critical condition after his mother found him. The police told reporters the motive was "thrills." No. 129 was reconverted to a single-family home in 1975. The abuse of its fraternal twin, including the loss of the stoop and the mutilation of the parapet, is regrettable. Yet the handsome pair remains a striking presence on the block. Just saw a segment on CBS Morning Show today called 'Rock and Reclamation', about a guy who makes guitars from the discarded wood of old Manhattan landmarks like McSorrels bar and Chumleys, the old speakesy frequented by Hemingway and other greats. Thought of you and your blog immediately . Should be posted on their site later today, or by tomorrow I think. Love what you do...keep it up! Fascinating! Thanks for sharing. Glad you enjoy the posts.